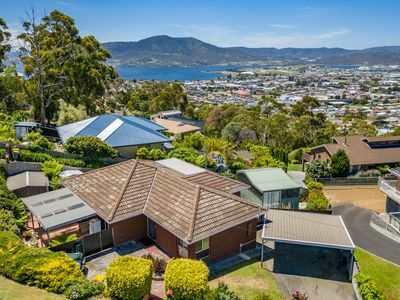 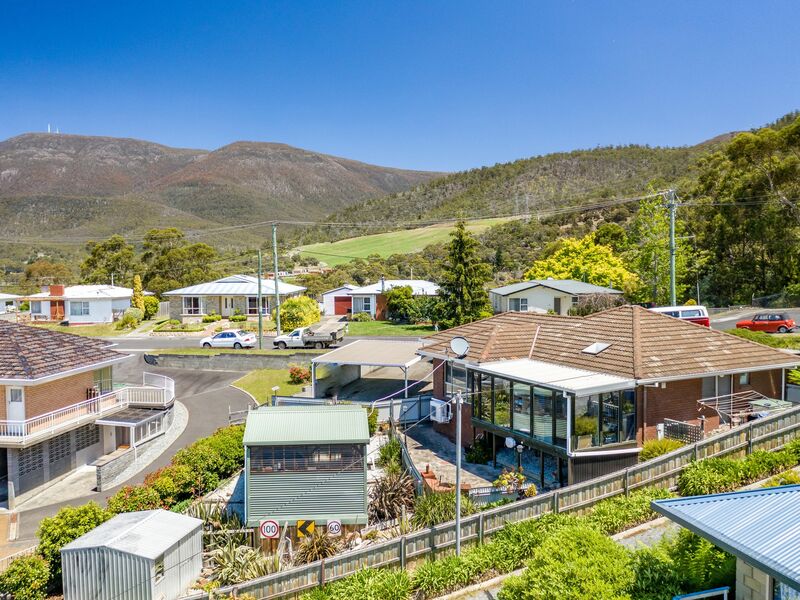 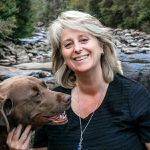 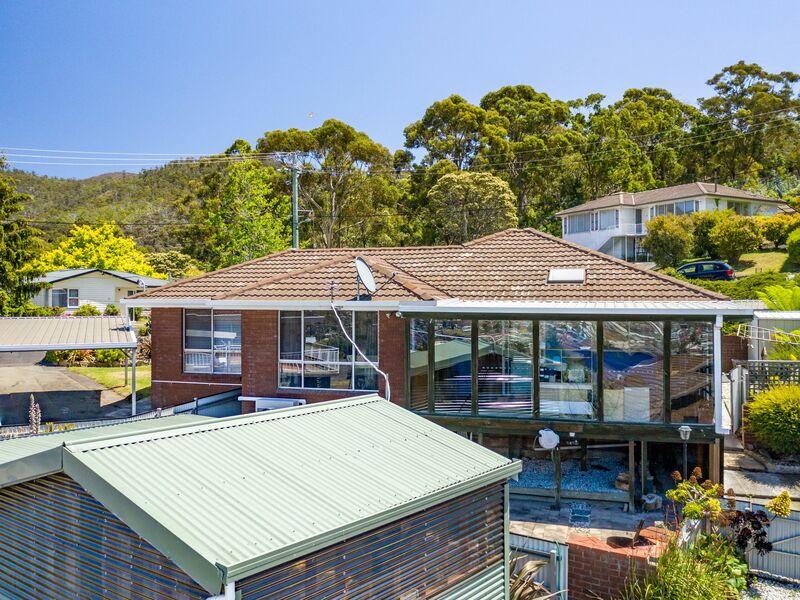 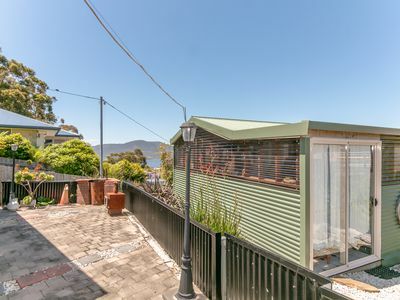 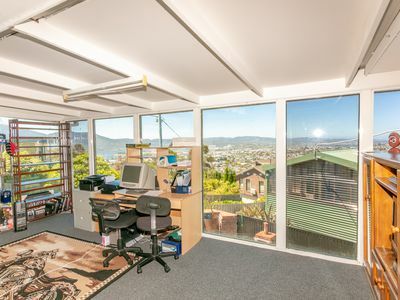 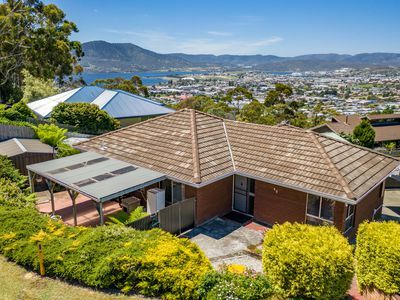 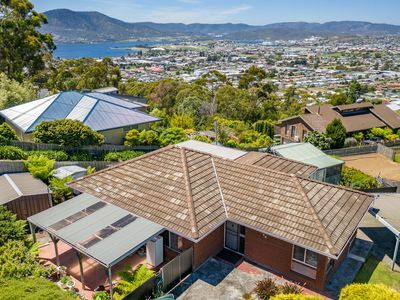 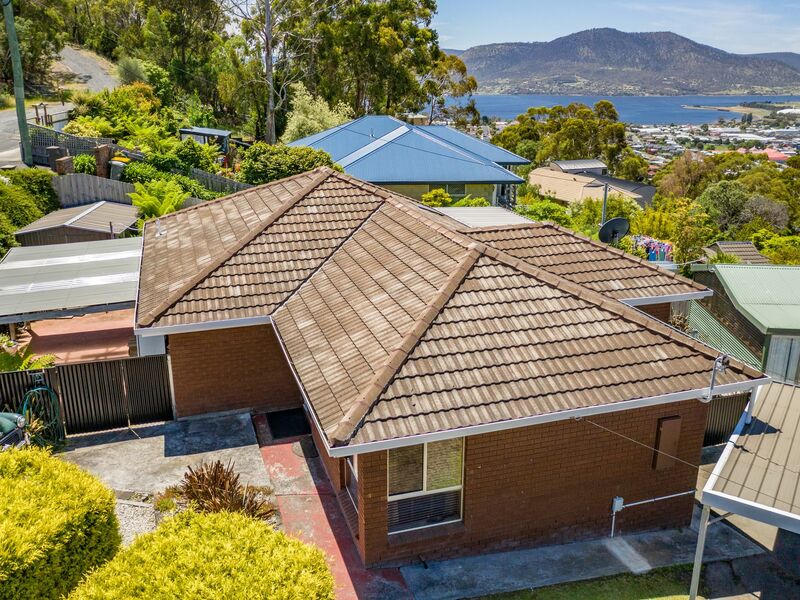 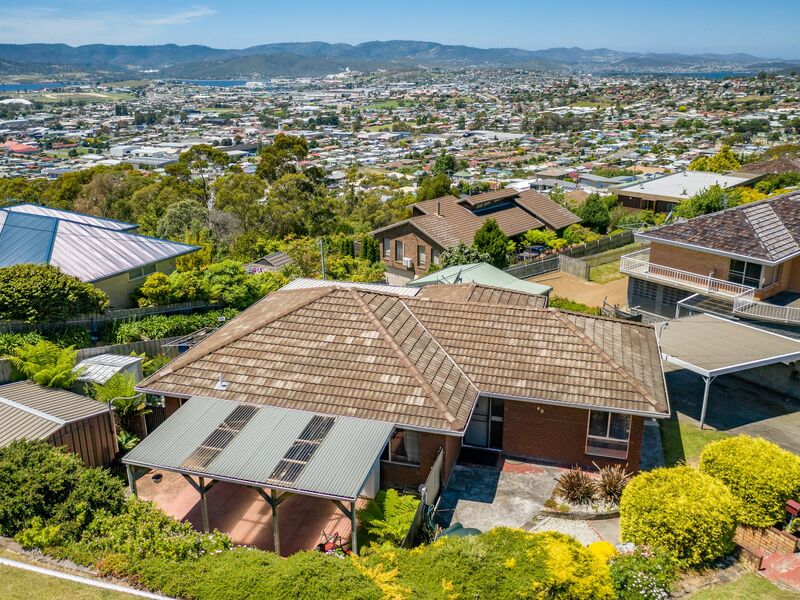 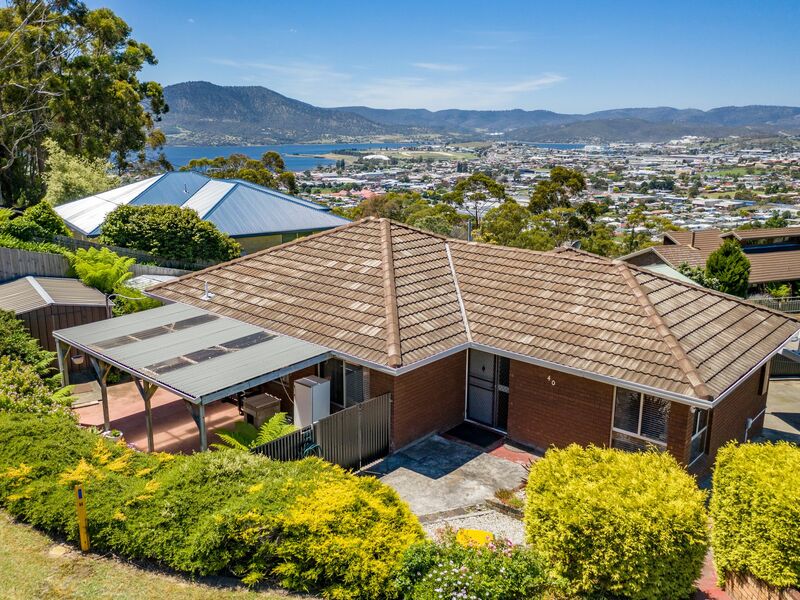 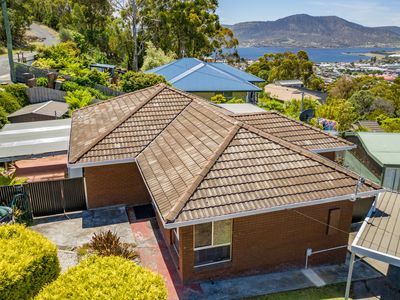 Excellent low maintenance home, located in a quiet area with wonderful views to Mount Wellington, Derwent River and surrounding suburbs. 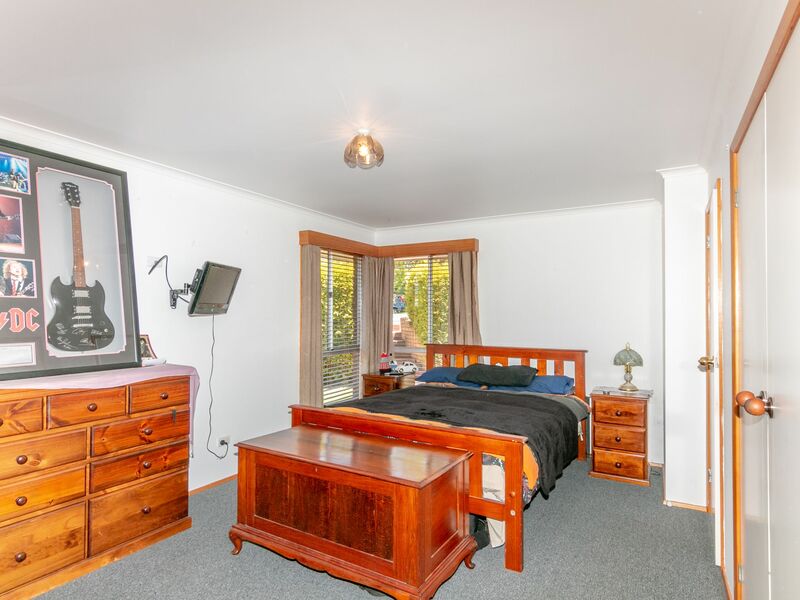 There are 3 spacious bedrooms all with built-ins, spacious living area with reverse cycle for year round comfort. 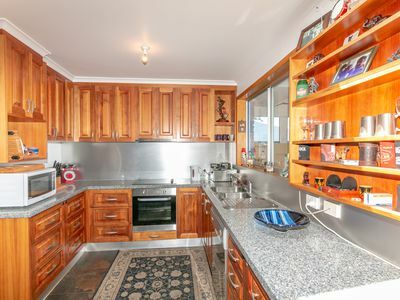 The kitchen has ample storage space, including large pantry and is finished in lovely Blackwood timber. 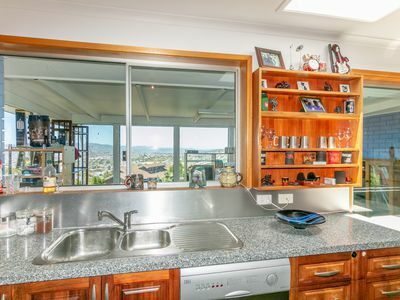 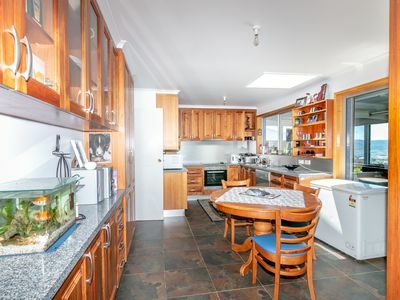 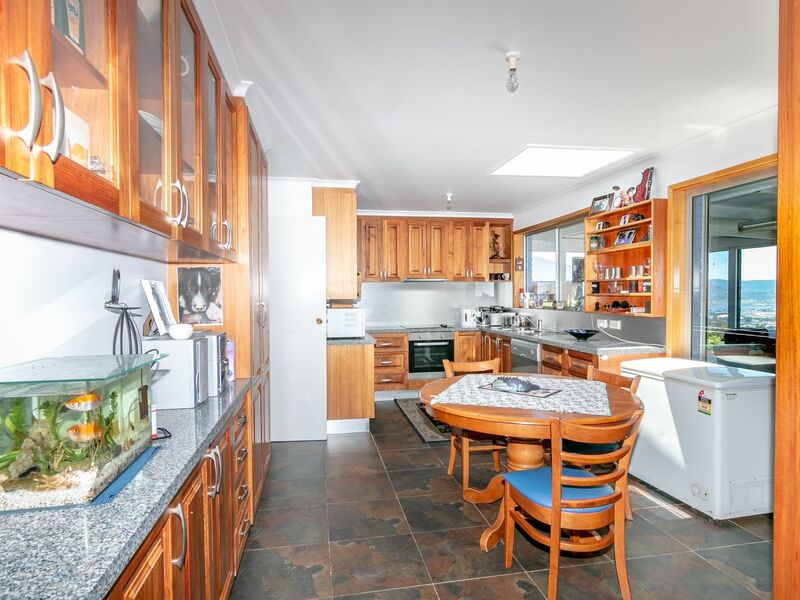 The kitchen offers great views from within and is combined with the dining area as well. 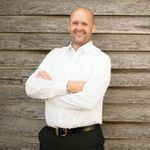 Additional sunroom which is located off the kitchen and dining area is a great place for office space or second living which has the best views for you to enjoy. 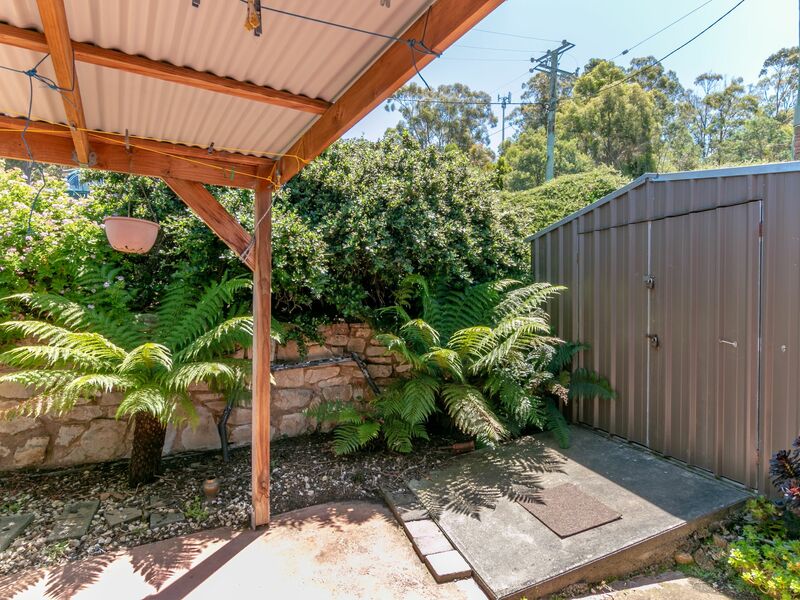 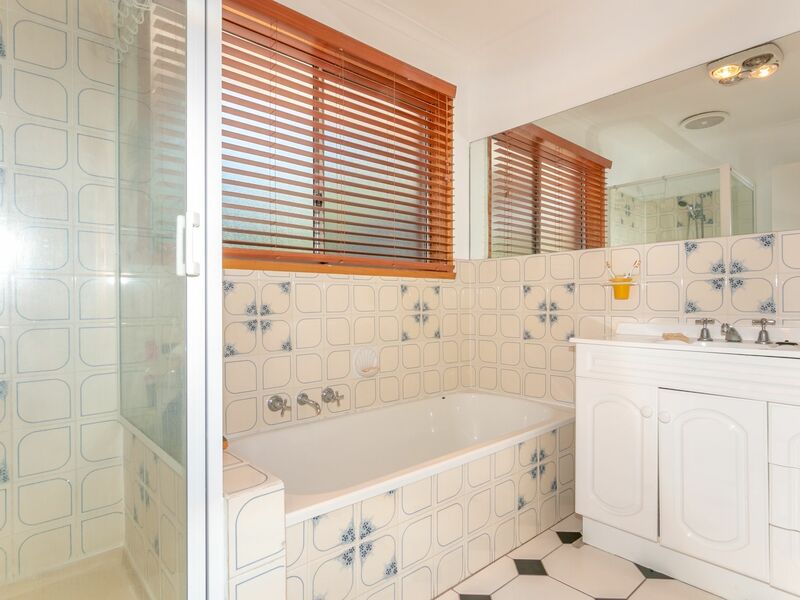 The property yard is fully fenced, is beautifully landscaped, has well established gardens, veggie area and offers plenty of privacy. 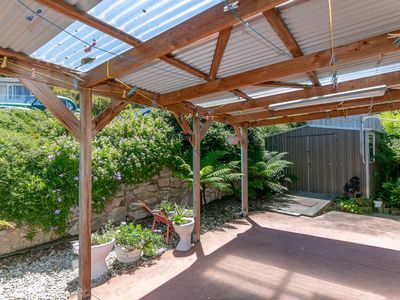 For the entertainers there is a large covered pergola, paved courtyard as well as spacious studio that takes place in the back yard which is great for the creative one in the family, this could be a great workshop, artist studio, sleep out or a great place to just relax for some time out or play room for the children. 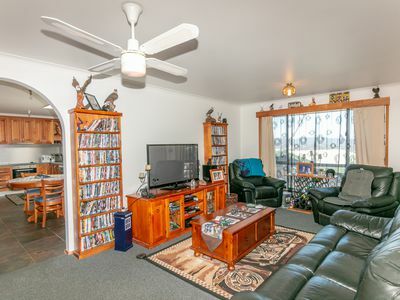 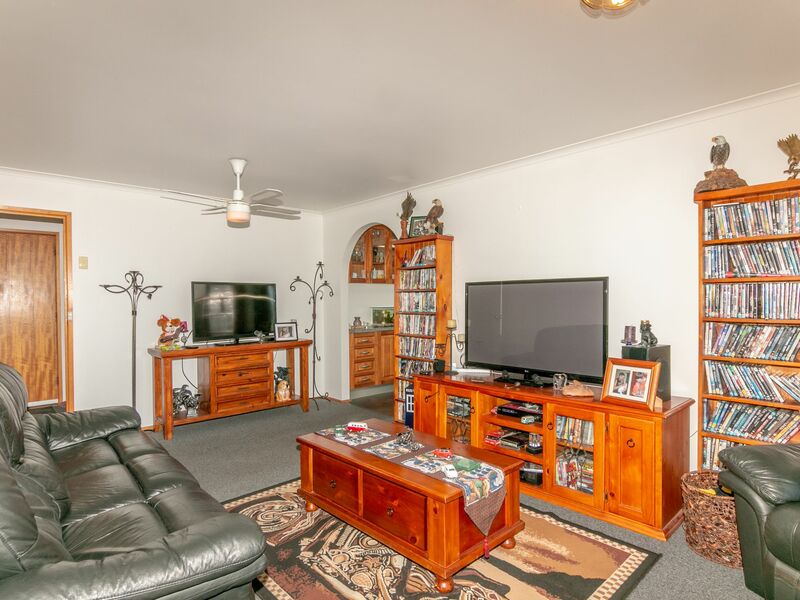 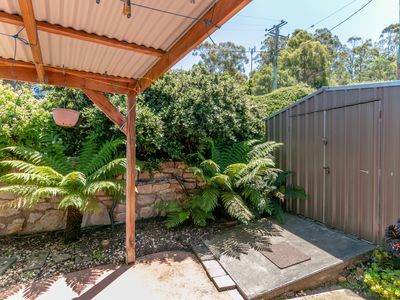 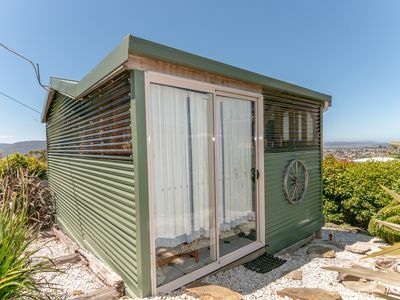 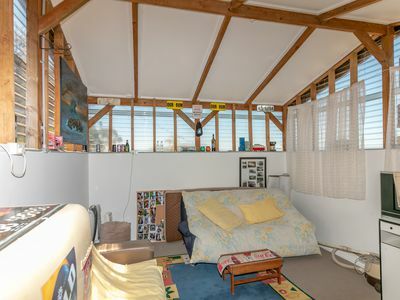 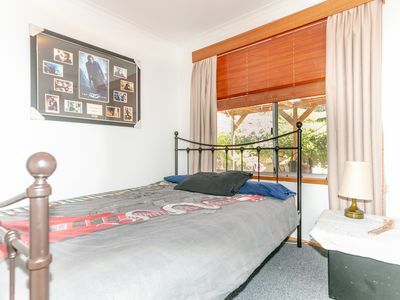 There are 2 separate garden sheds, double carport and off street parking. 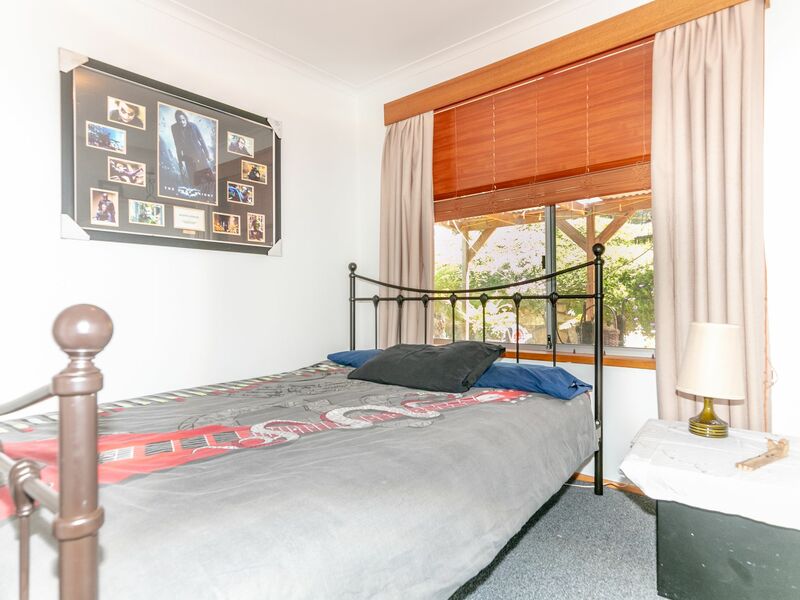 You are only minutes to the shops and conveniences and approx. 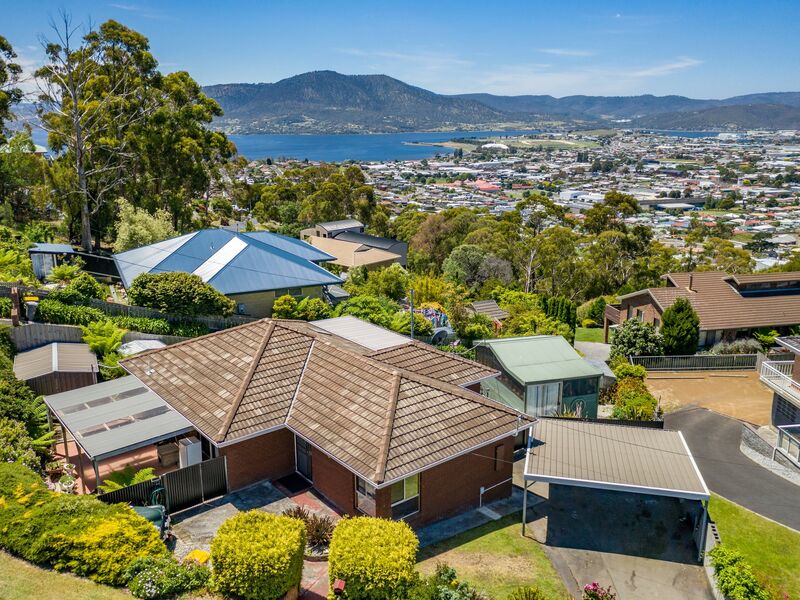 20 minutes to Hobart CBD. 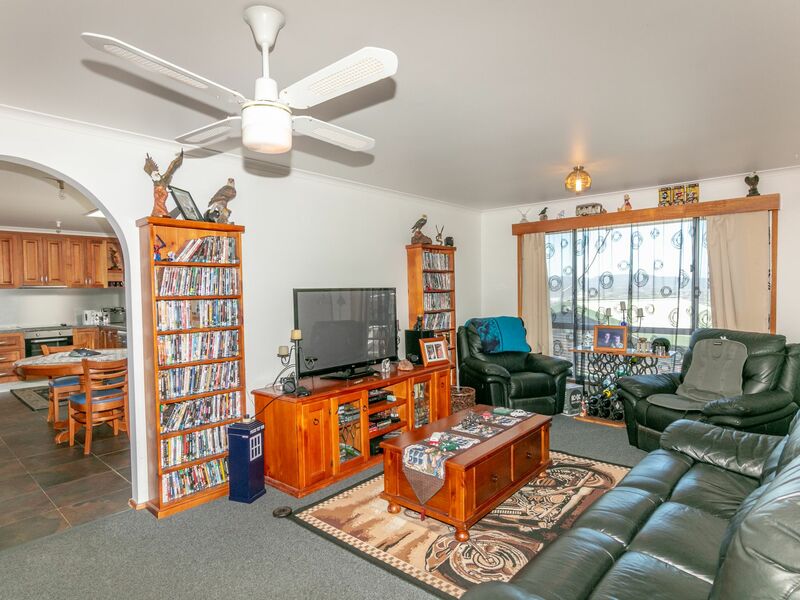 Call for you viewing today, all inspections are by appointment only.